STANFORD, Calif. — One of the most fascinating things about the showdown series between No. 1 UCLA and No. 2 Stanford at Sunken Diamond this weekend is that both teams had great first halves, both teams earned their lofty rankings, but neither team had truly played up to its full capacity yet. 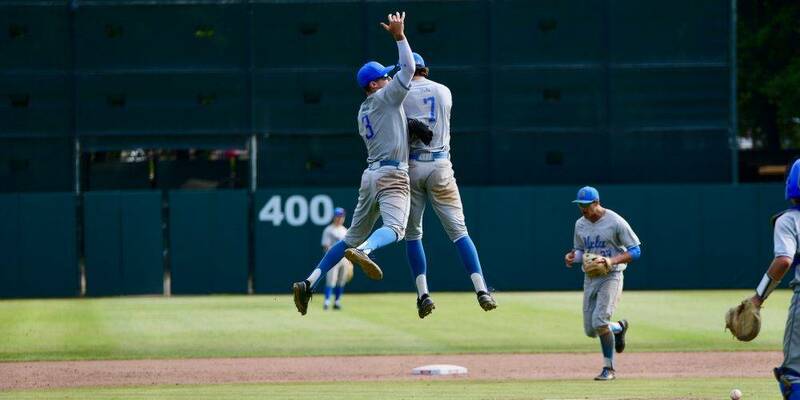 Big-name stars got off to slow starts for both clubs — preseason All-Americans Michael Toglia and Chase Strumpf plus unsigned first-round freshman Matt McLain for UCLA, and sluggers Andrew Daschbach and Kyle Stowers plus shortstop Tim Tawa for Stanford. But all six of those talented players have shown flashes lately of their enormous potential, and all six did some big things at various times this weekend. And as those players continue to heat up — and once the multi-talented Jeremy Ydens returns from injury in the next week or two for UCLA — these two teams figure to be even more dangerous down the stretch. That’s a scary notion, considering how good these clubs already are. That much is certain. Stanford remains a “work in progress” in a few areas, as Cardinal coach David Esquer put it, but that’s a very dangerous college baseball team that does a lot of things well. But right now, UCLA is even more dangerous, and the difference between the two clubs this weekend was the Bruin offense, which is simply very difficult to stop. To Stanford’s credit, it did contain that UCLA offense in Friday’s 3-2 win behind ace Brendan Beck. But UCLA was a freight train over the next two days, scoring 21 runs on 25 hits, winning 11-5 on Saturday and 10-7 on Sunday. That offensive output was particularly notable because Stanford entered the weekend leading the nation with a 2.36 staff ERA. Indeed, UCLA got production from up and down its lineup in its two victories — the big-name stars produced, the emerging underclassmen produced, the veteran role players produced. When UCLA plays like this, its offense is as dangerous as any in the country.